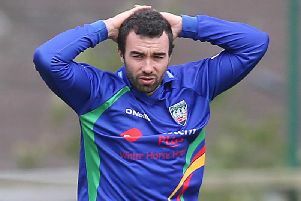 The news that Northern Knights captain James Shannon is moving to Dublin club Phoenix is a body blow not only for his club Instonians, but for cricket in the NCU. In an interview with the News Letter last month, Shannon admitted that he was considering a move south and listed a number of factors. He highlighted the superior cricket facilities in the Dublin area, his wish to be in close proximity to the Ireland coach, Graham Ford, and the fact the Dublin is now the “cricketing hub” in Ireland. On Monday it was confirmed first by Cricket Europe, and later by Shannon himself, Instonians and Phoenix, that Shannon will play his club cricket in Phoenix Park in 2019. There has been little public criticism of Shannon’s intentions, a vindication perhaps of his decision, and that is worrying news for those plotting the future of cricket in the Northern Cricket Union and indeed the North West. Shannon has been at Instonians since childhood, and more relevant, has been a fulcrum of NCU representative teams for as long as anyone can remember. He has a big sense of loyalty to club and union and this is not a decision he will have taken lightly. It is not a move motivated by money, he is already very well paid as a centrally contacted Ireland player and Phoenix will probably get his services for less than 10 matches this summer. This is about a player, at age 28 and in his prime as a batsmen, feeling his international prospects are better served in Dublin. If the move works for Shannon who is to say that others won’t follow? That arguably the most talented NCU batsman outside of Paul Stirling sees his future away from Belfast has so many worrying connotations for the NCU game and ads fuel to the fire of those who fear cricket on this island is becoming too Dublin-centric. 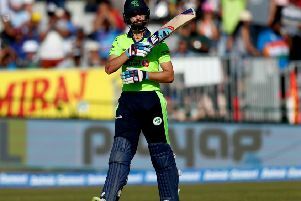 The NCU and the North West have long been feeding on scraps in terms of the prime Ireland international fixtures and the Cricket Ireland decision to build its permanent stadium in west Dublin, as opposed to Malahide, which is more easily accessible to a northern audience, will make the international team feel less accessible than ever. Shannon is expected to continue playing for the Northern Knights but he could be one of four Dublin-based players in the NCU interprovincial side this coming summer, hardly a positive for a Knights brand that has struggled to resonate with the cricketing public. The North West Warriors have had similar problems, particularly losing some of their own best players to the NCU. It has been something of a winter of discontent for cricket in the NCU, with the controversy over the redundancy of its cricket development officers and now the union’s best player seeing his future elsewhere.